Construction site work involves all aspects of site preparation including excavation, trenching, earthwork and grading, site utilities, water mains, storm and sanitary sewer installation, paving of curbs, sidewalks, culverts, parking lots, and asphalt roads. 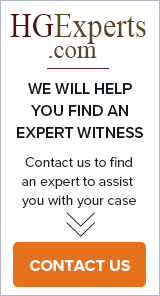 An expert witness or dispute resolution provider addresses contract disputes involving owners, developers, contractors and subcontractors. Topics include scheduling, delay claims, differing site condition claims, change order justification, support and processing, nonpayment issues, back charges, lien filings. Codes and standards can also be at issue in personal injury claims. DRA is a construction management and disputes resolution consulting company in San Carlos, California. Our expert construction consultants specialize in the avoidance, analysis and resolution of construction claims.